International Travel Partnership, a global travel management network, has added Travelux in Hong Kong as an affiliate. Established 35 years ago, IATA-licensed Travelux is located in the main business district of Hong Kong, and corporate travel management is its main area of business. Ian Epps, ITP’s director of partnership relations, said that with its focus on service and plans for the future, Travelux represents yet another step forward for ITP in Asia. With ITP’s recent recruitment of a partner in China, said Epps, the timing is perfect. Most ITP partners are locally owned and managed, and each is a market leader. 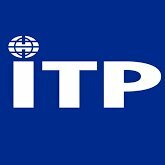 According to an announcement, partners are able to combine local knowledge and service efficiency with the worldwide infrastructure and range of services that ITP can provide for both local and multinational clients.